Amidst the excitement of Google's Nexus 7, Android 4.3, and Chromecast TV dongle announcements yesterday, the company also later confirmed to reporters that we will be seeing a refreshed Samsung made Nexus 10 coming soon. According to a tweet from the Wall Street Journal's Amir Efrati, Google's Sundar Pichai seemed to have indicated the new device's launch isn't to far away now. 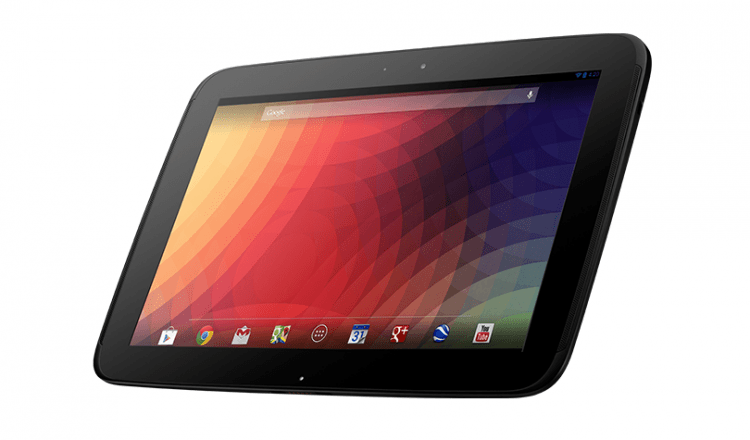 The Nexus 10 was first introduced back in October 2012 and since then we haven't heard much about an updated model. Earlier this year, rumors had Samsung working on a larger Nexus 11 powered by the eight-core Exynos 5410 chip, which is made up of four Cortex-A15 cores and four Cortex-A7 cores. There was also talk of a lower-end version of the slate dubbed Galaxy Tab 11, and both were rumored to have the same 2,560 x 1,600 resolution found on the current Nexus 10. Since then Samsung has indeed refreshed it's Galaxy Tab lineup with three different variants and sceen sizes, but no 11-inch model to be found. Exactly what the next generation Nexus 10 will bring remains unclear. If yesterday's update to the Nexus 7 is any indication, the company might iterate with a slimmer design and just enough updated internals to keep the starting price at around $400. Last time around Google put roughly three months between releases of the Nexus 7 and the Nexus 10, so this could provide some hints as to the expected launch frame for the device.